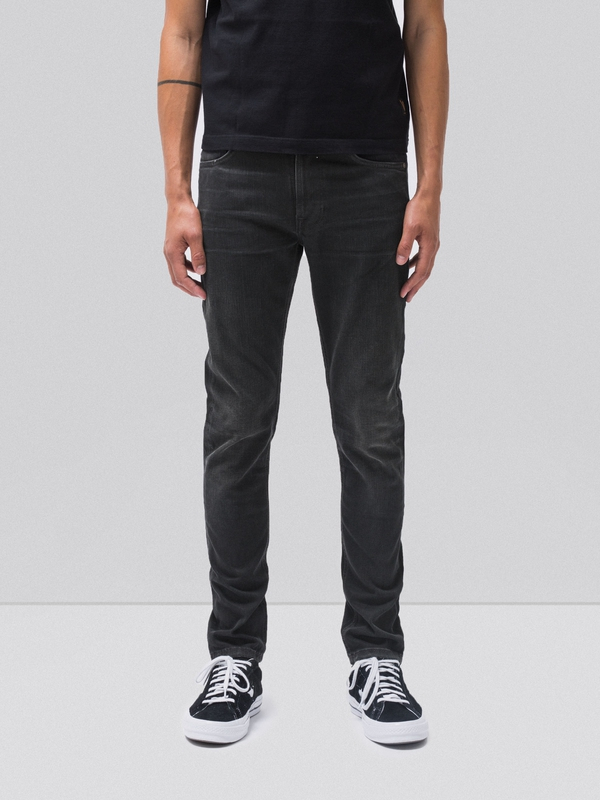 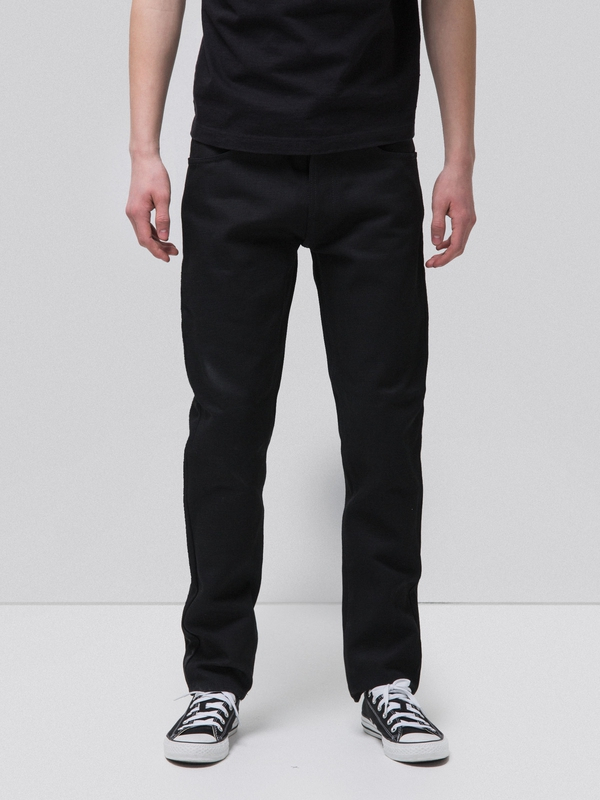 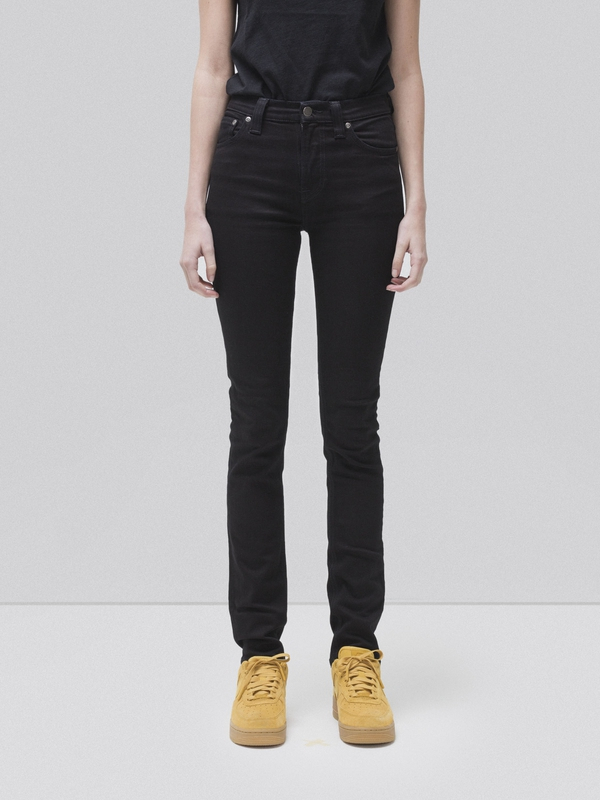 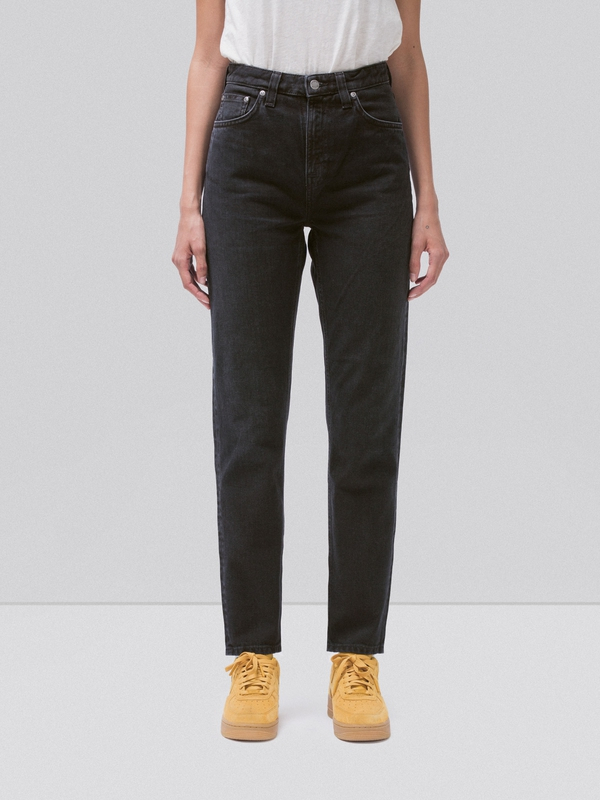 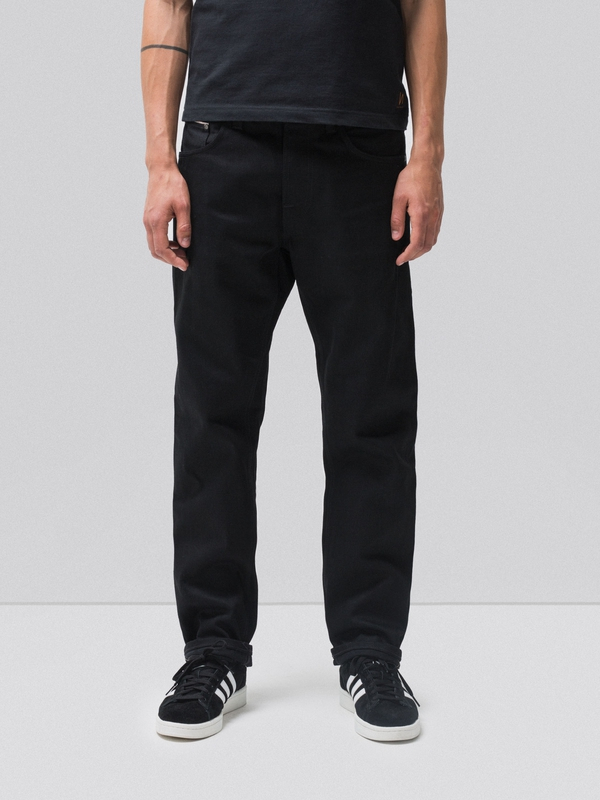 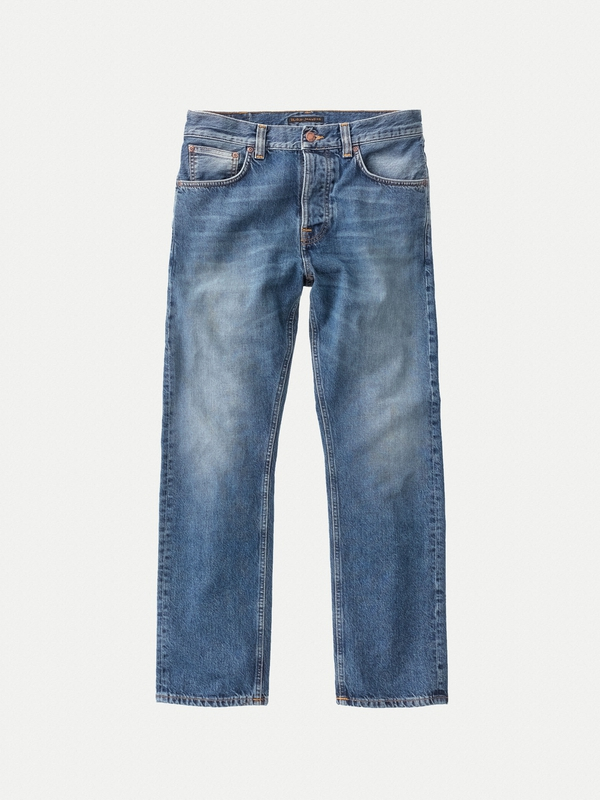 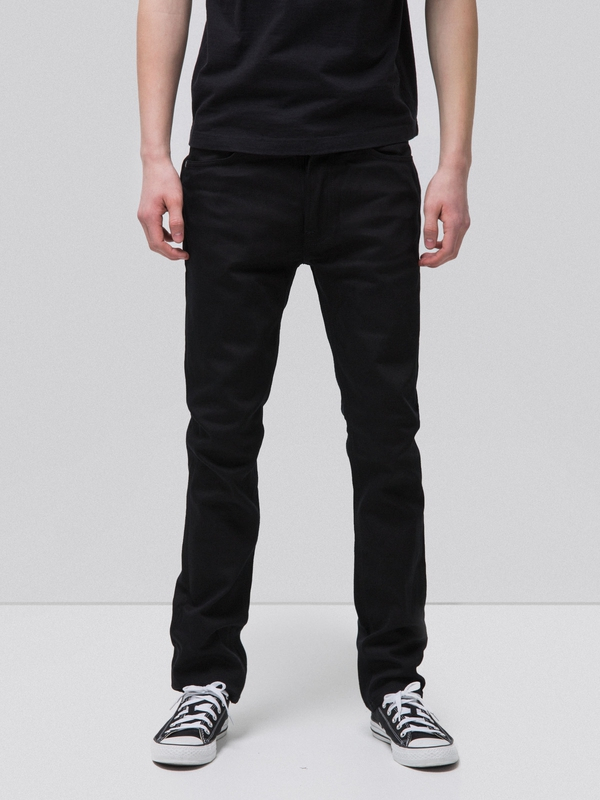 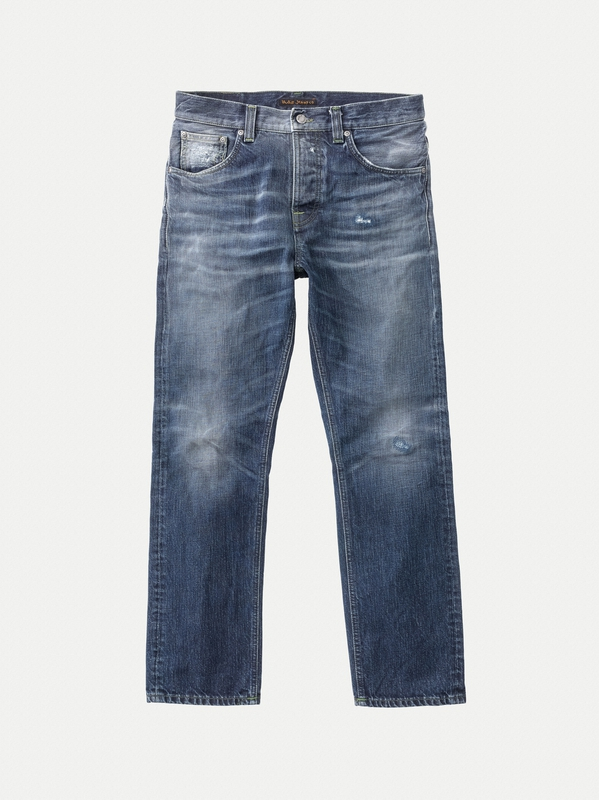 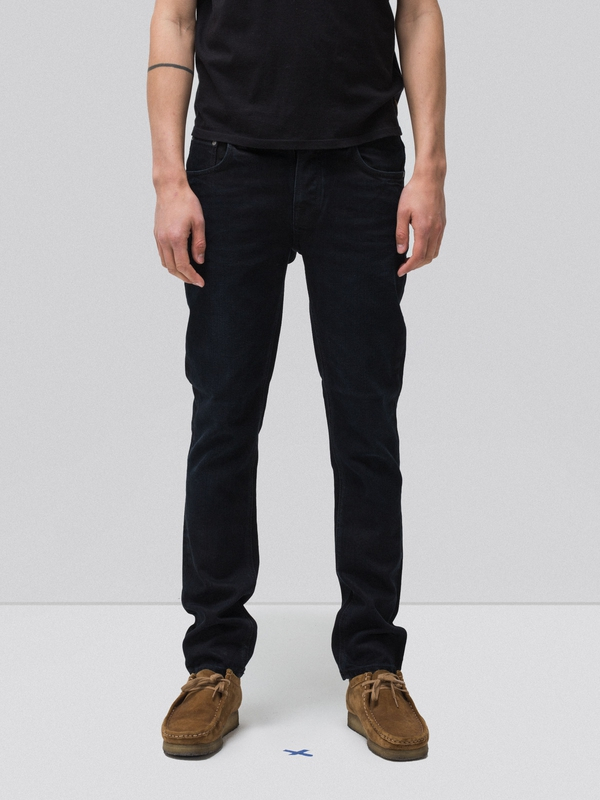 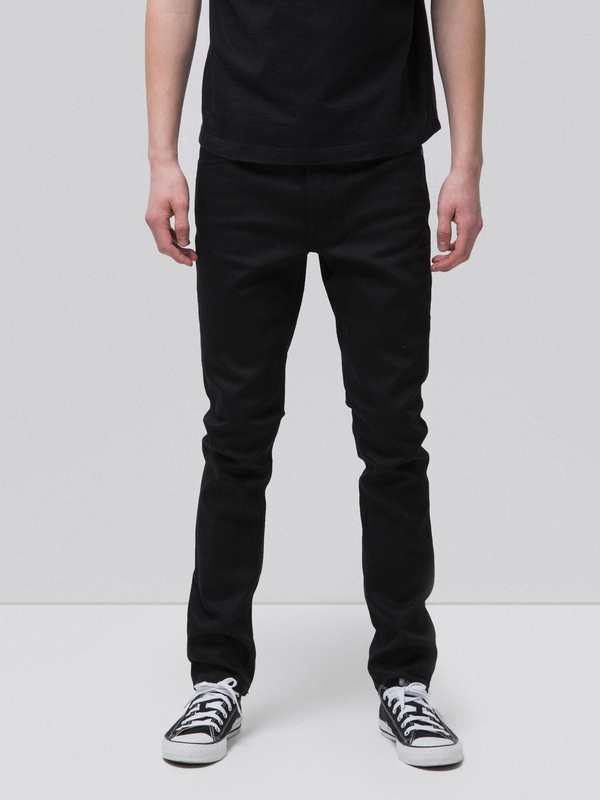 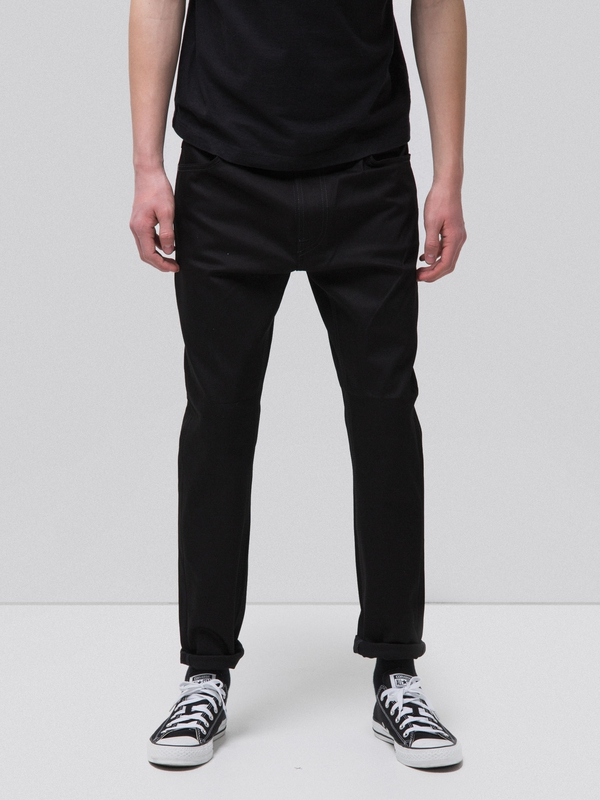 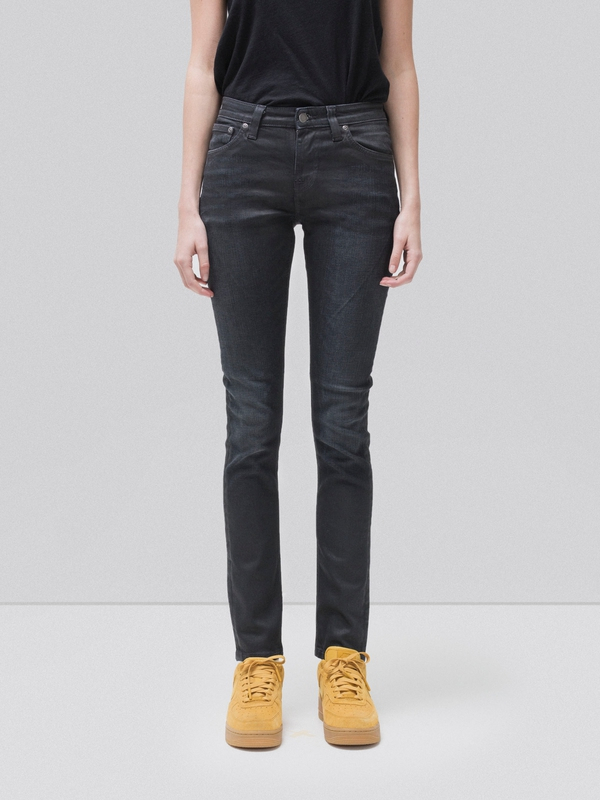 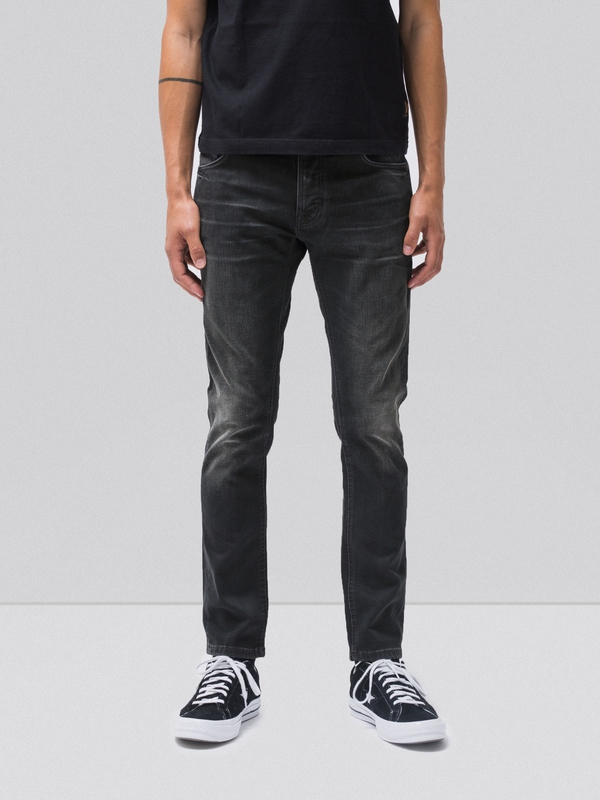 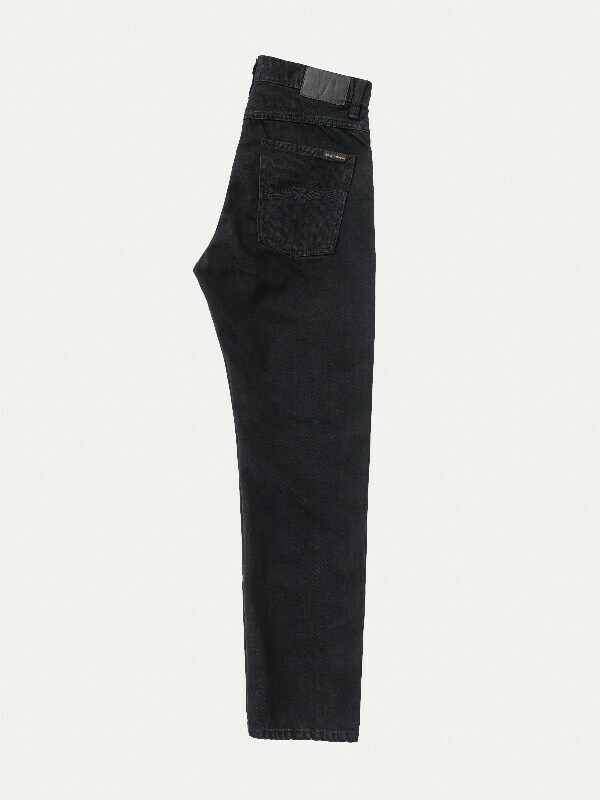 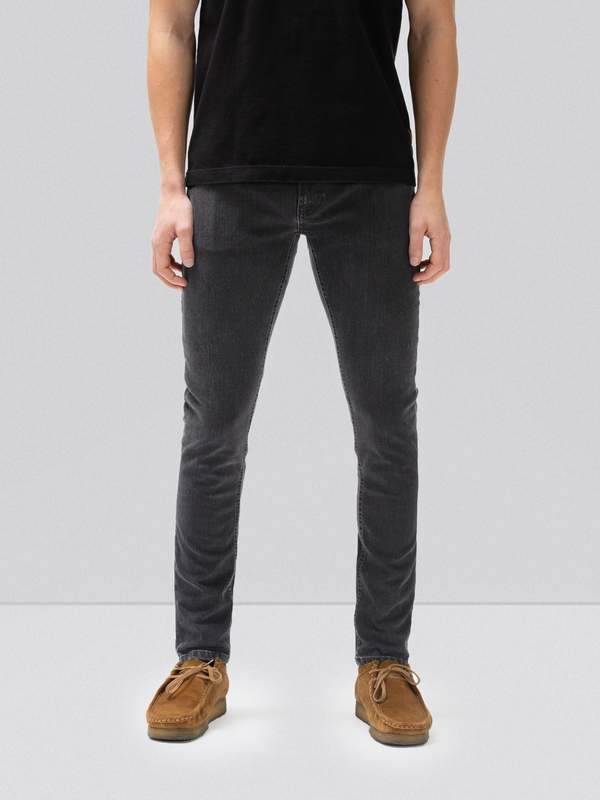 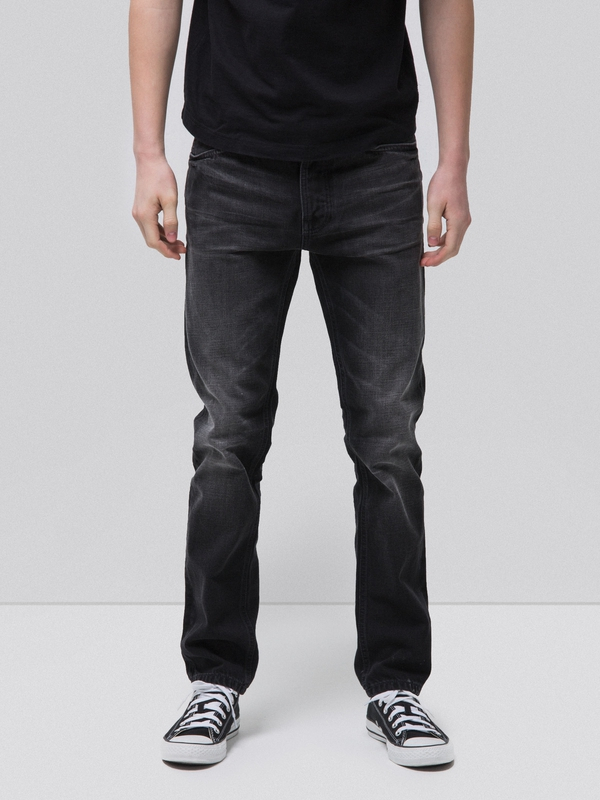 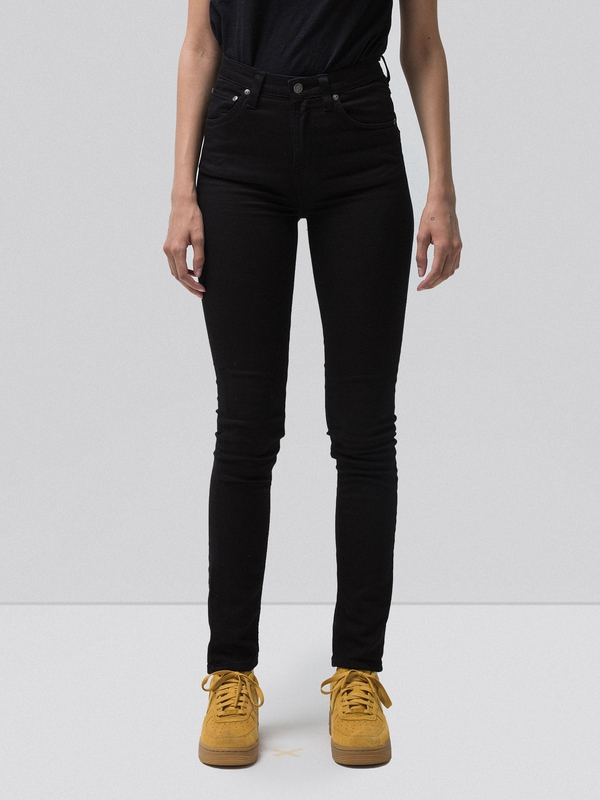 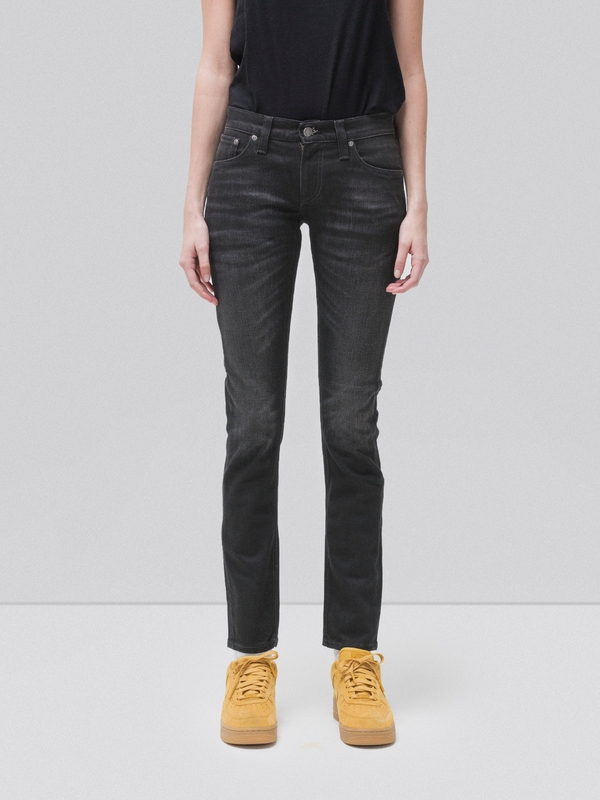 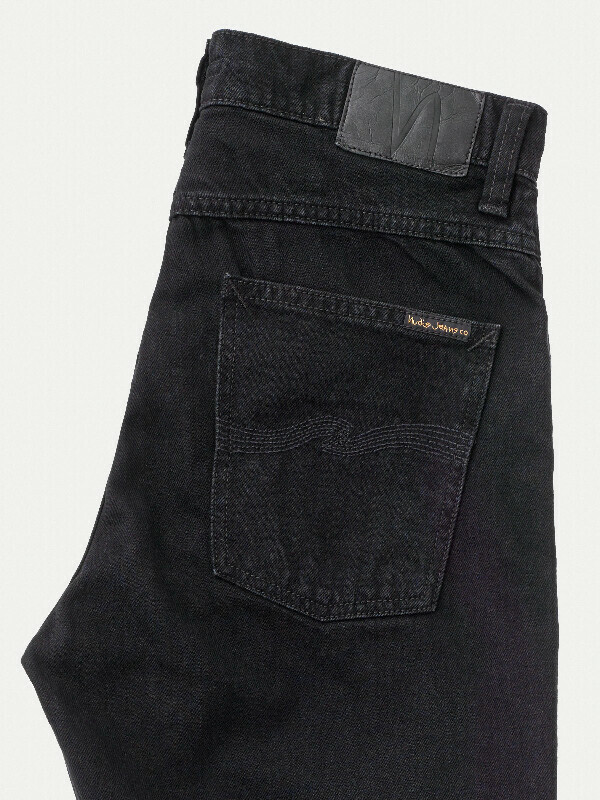 Jeans made in rigid denim. 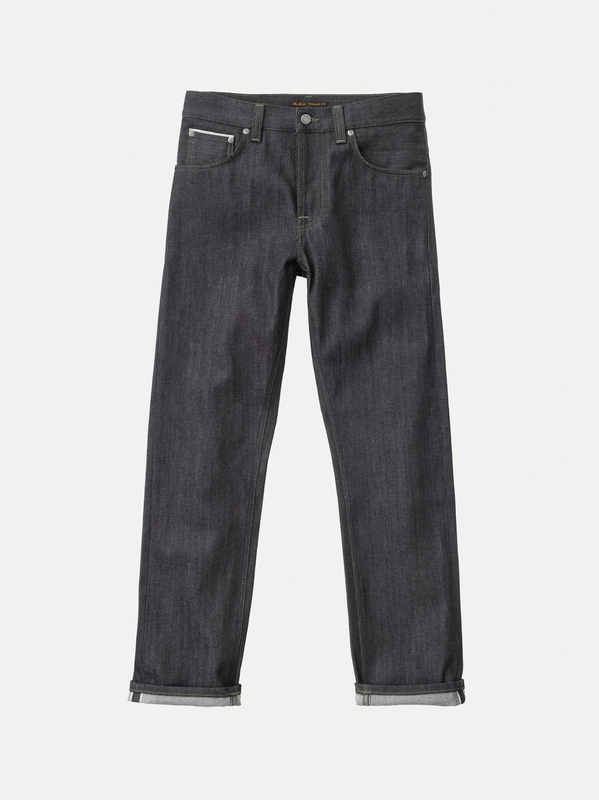 What once was denim with black warp and weft has been given a stone-washed look.  The white core of the yarn shines through slightly at seams and folds. 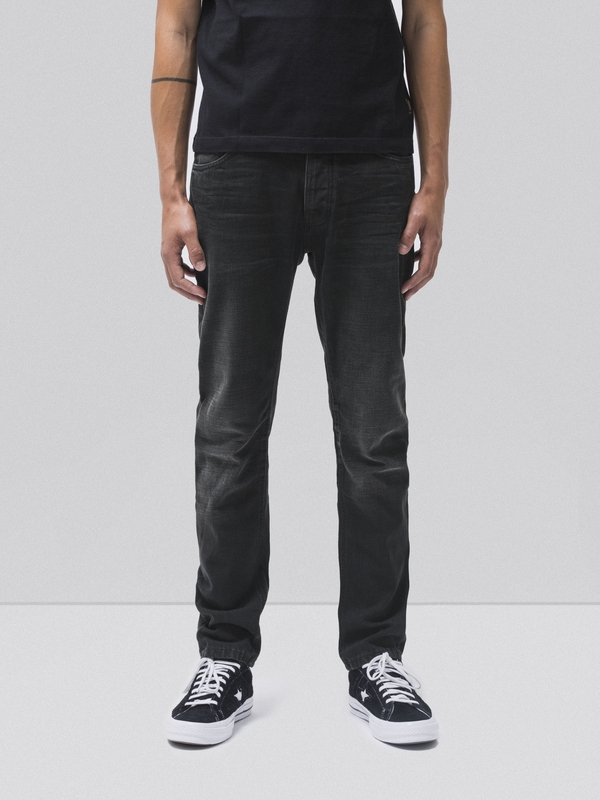 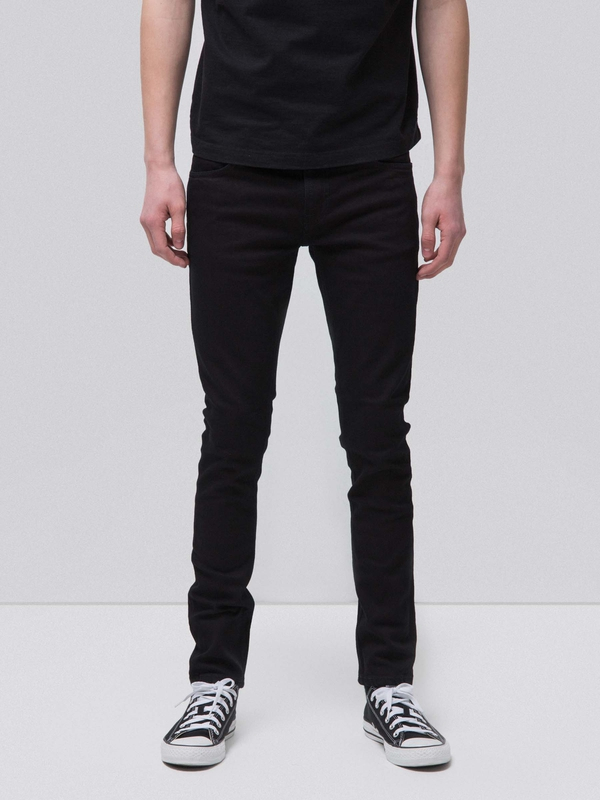 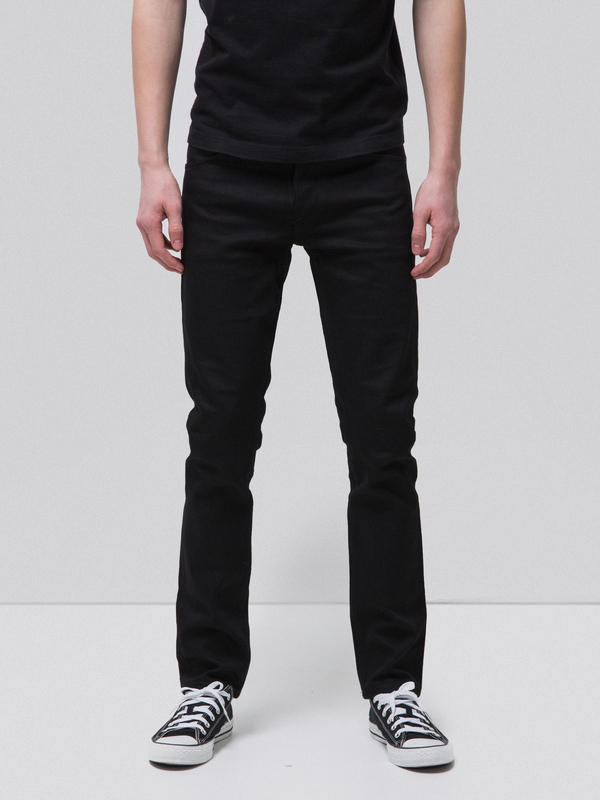 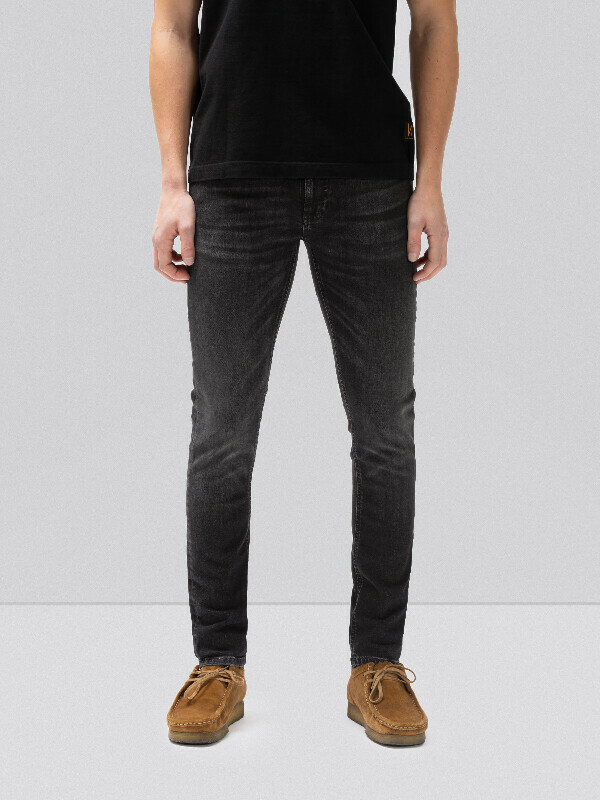 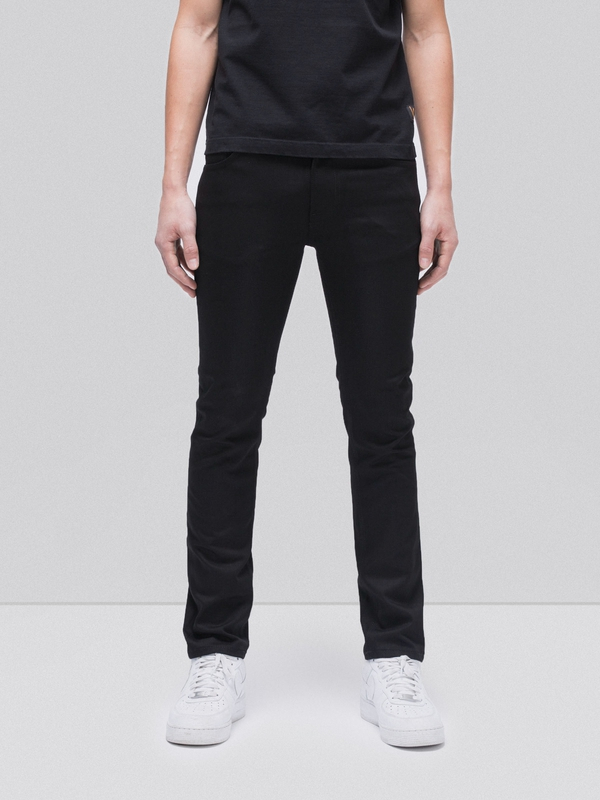 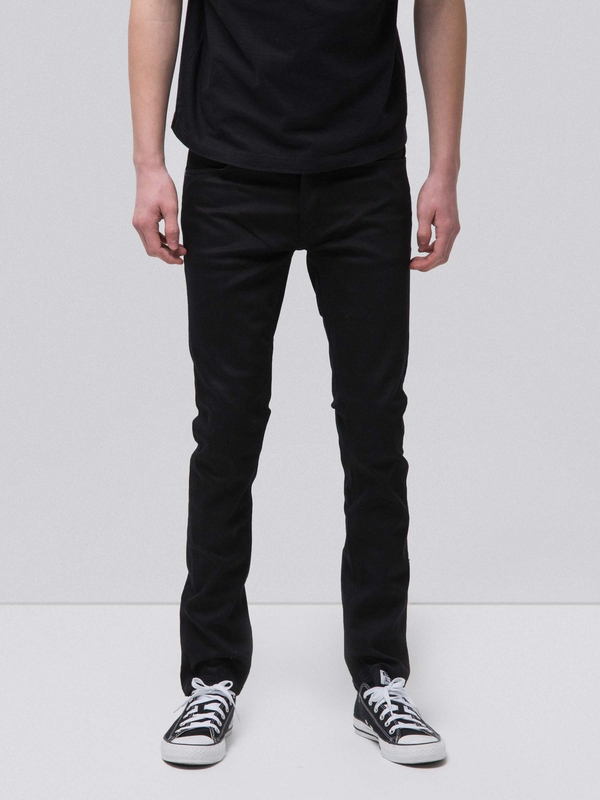 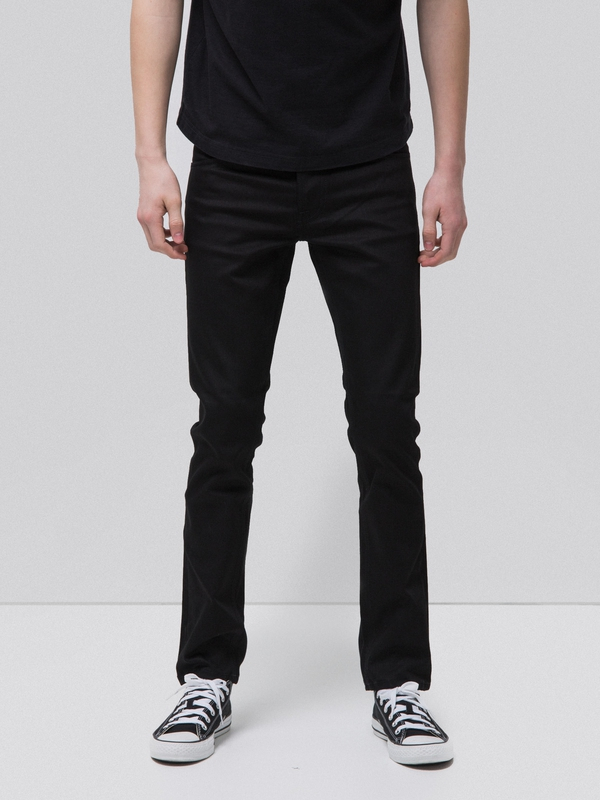 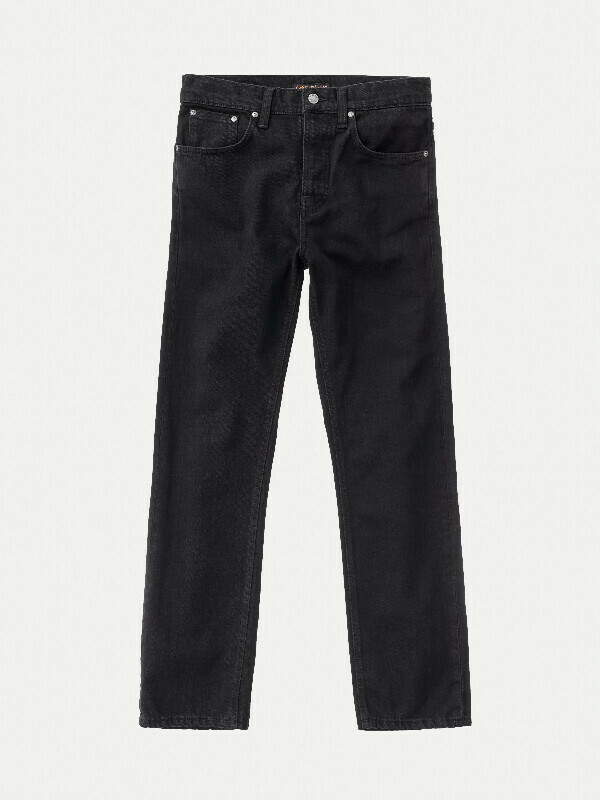 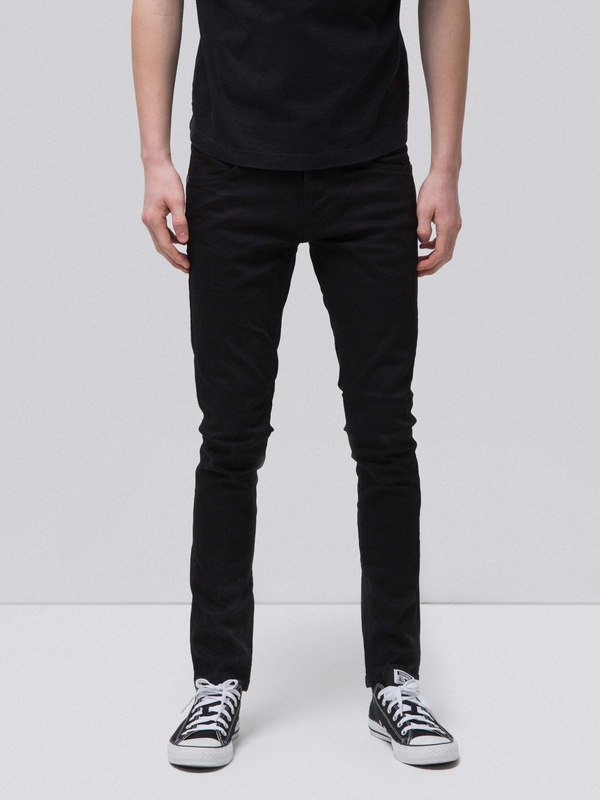 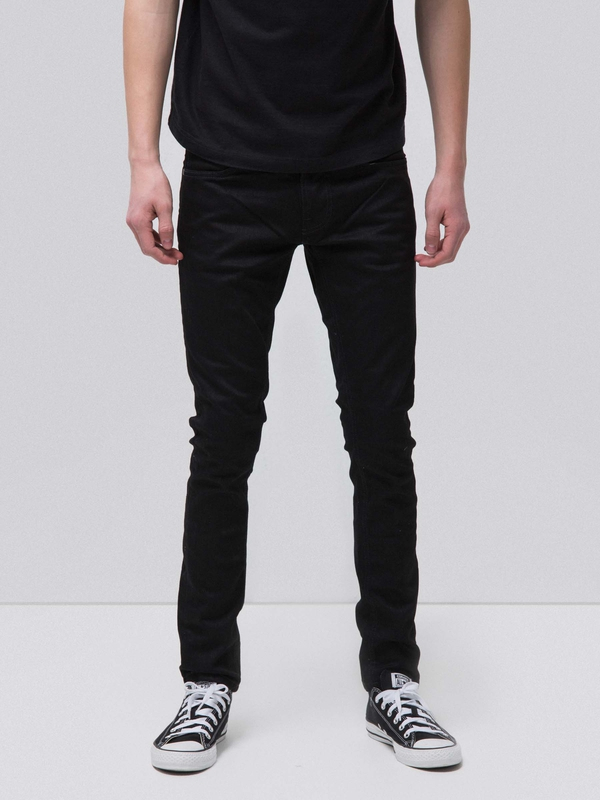 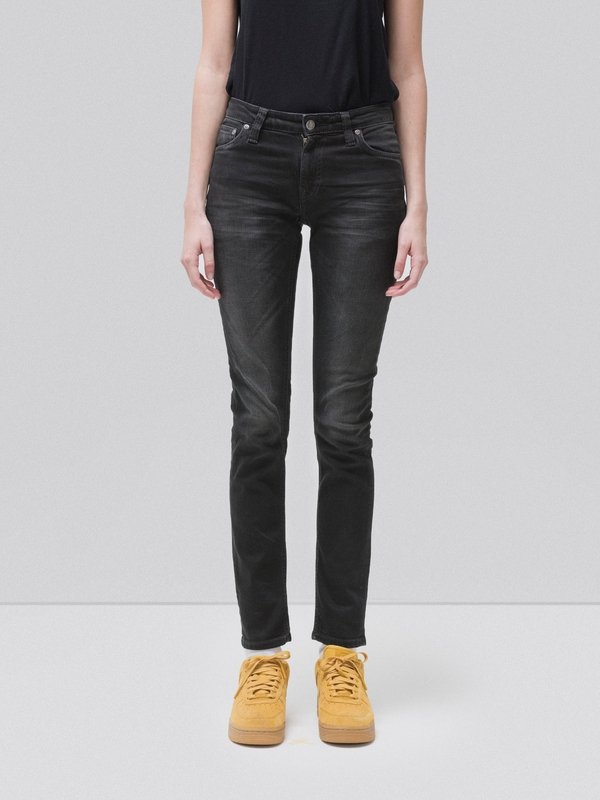 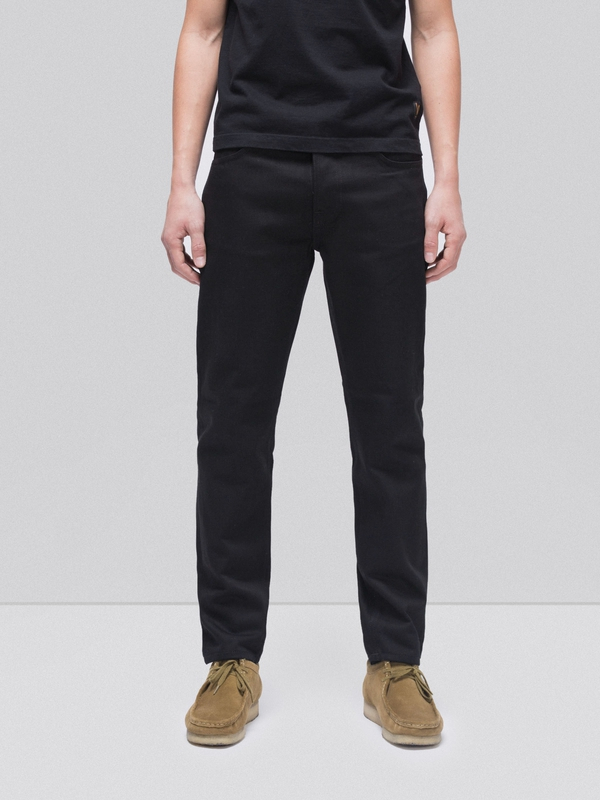 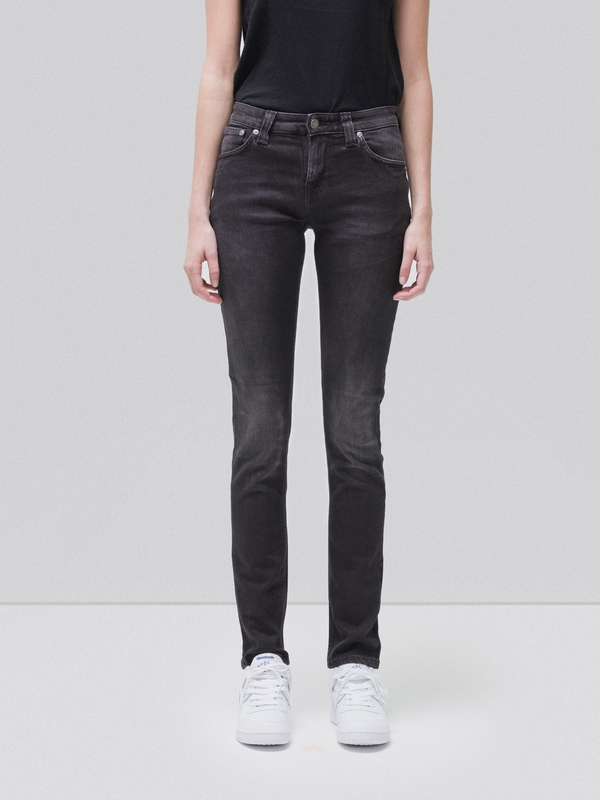 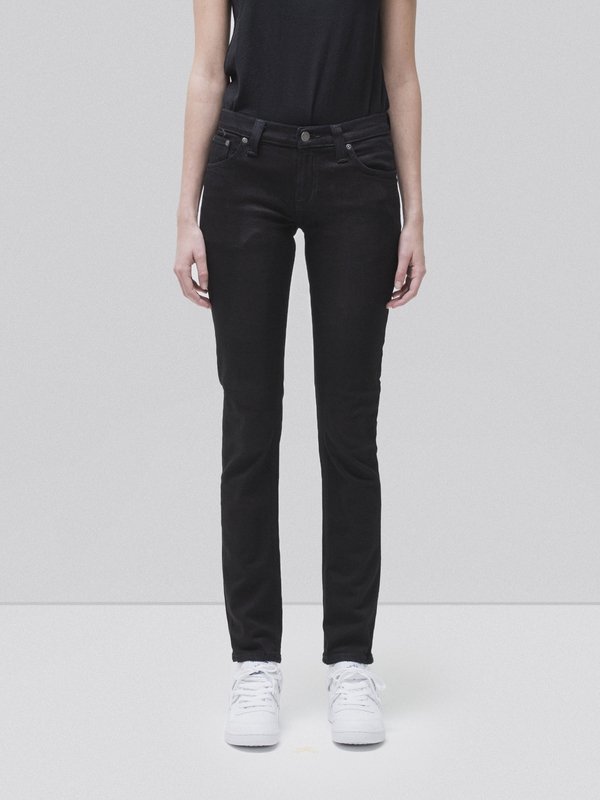 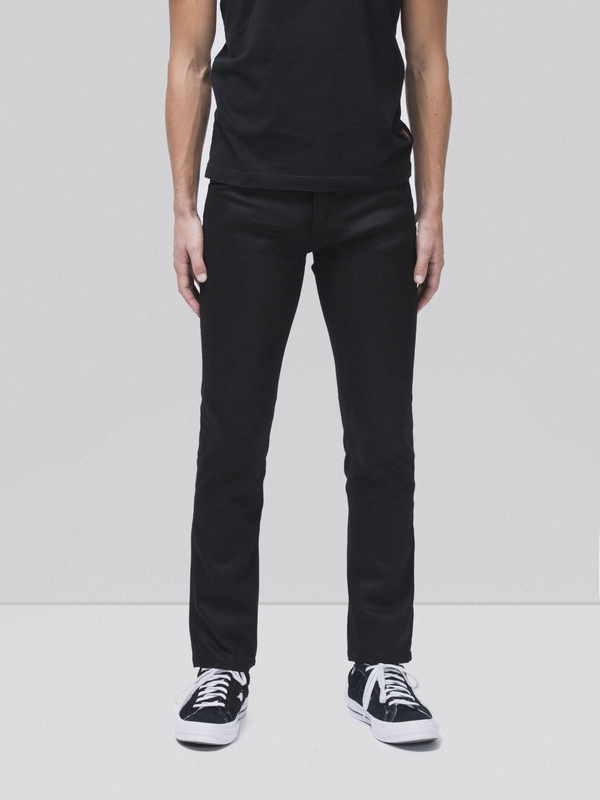 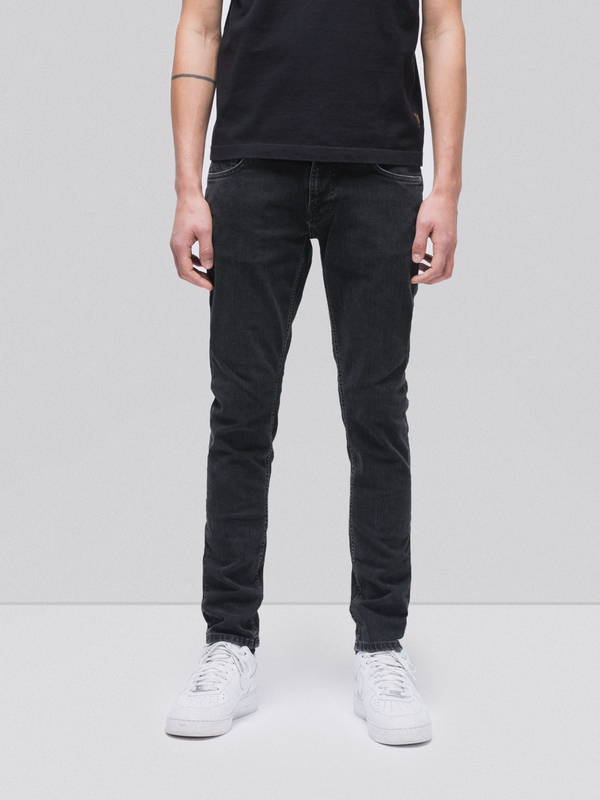 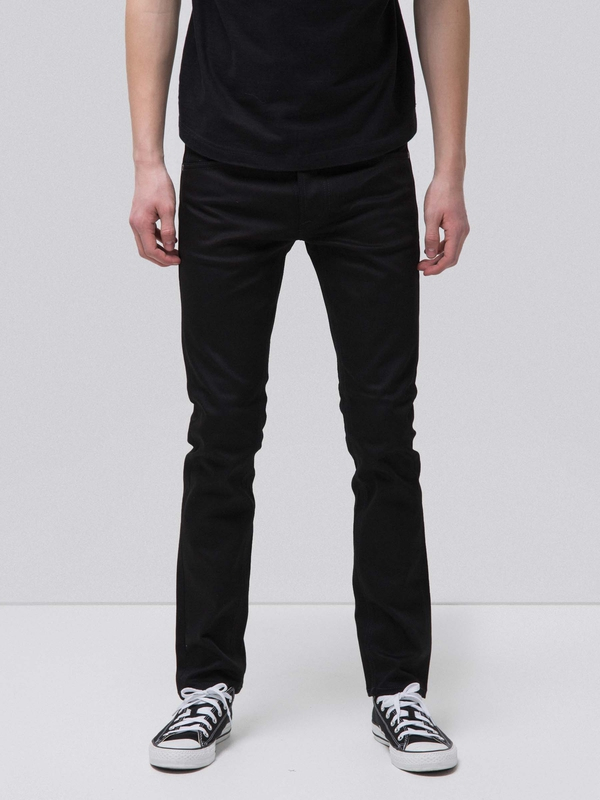 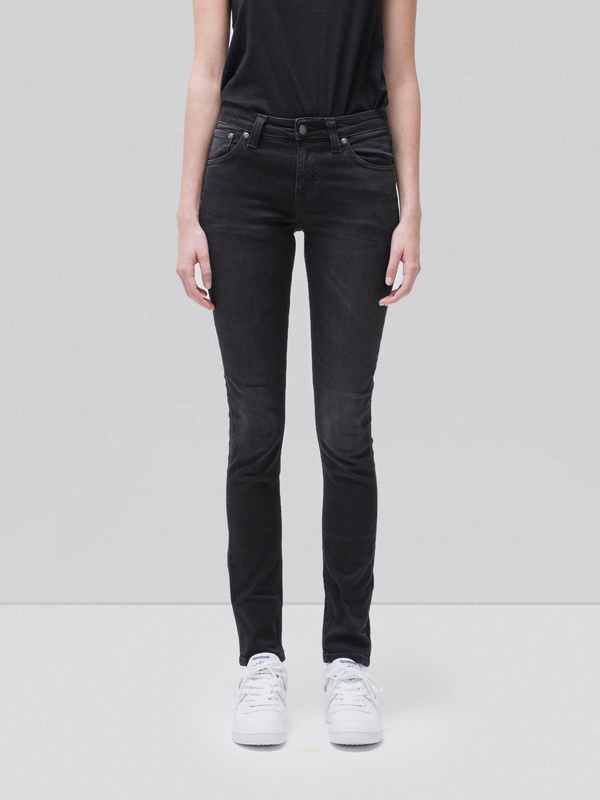 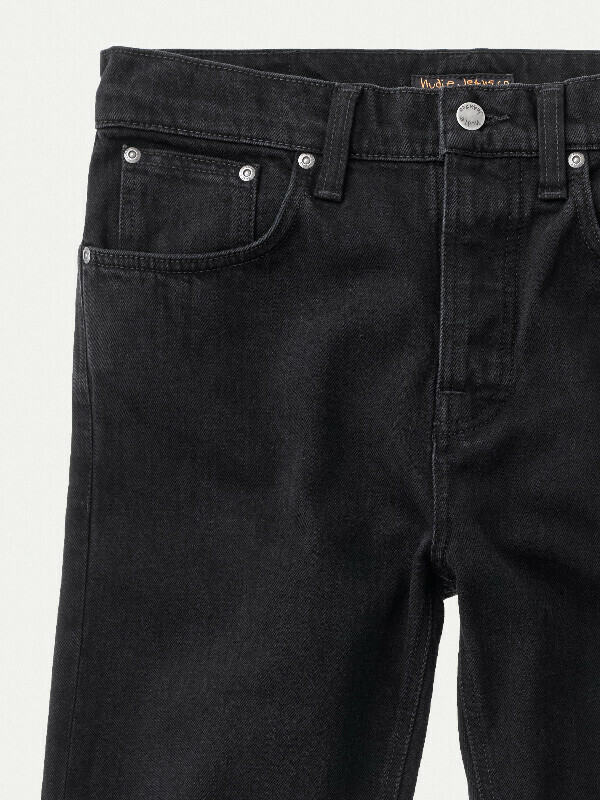 A simple and smooth black denim classic.